I received great, great news this morning when I woke up! Good running friends, Jinoe and Quennie Gavan, welcomed baby Gab into the world at 6:05am. Jinoe sent a text that said “Check mo FB ni Doc Dianne para official. Hehehe. Baby Gab out na. 6:05am. Pero sa Garmin ko 6:06am. Me ganun! :)”. Classic Jinoe! Always relating everything to running…which is but normal for every running fanatic. For those of you who don’t know who Jinoe and Quennie Gavan are, Jinoe is best known as the Manukan Runner (Chicken Runner) & Quennie, Chicks ni Manok (Girl of the Chicken). He is the admin of http://www.takbo.ph and http://www.takbo.net, a running blog with a HUGE following. This blog and this community is what gave me the inspiration to start running. I would say I owe it to the people of Takbo.ph giving me the confidence to run 5k, 10k, 21k and eventually a full marathon. Their support is what gave me the courage to reach for goals that seemed impossible a year ago. I am certain that Jinoe and Que will be great parents as they have been pseudo-parents for Takbo.ph members. Sleepless nights, I’m sure would not be a problem to this two ;p They can just try to compare it with moderating a 4,000 (or bigger) member strong online community! Congratulations to Team Gavan! 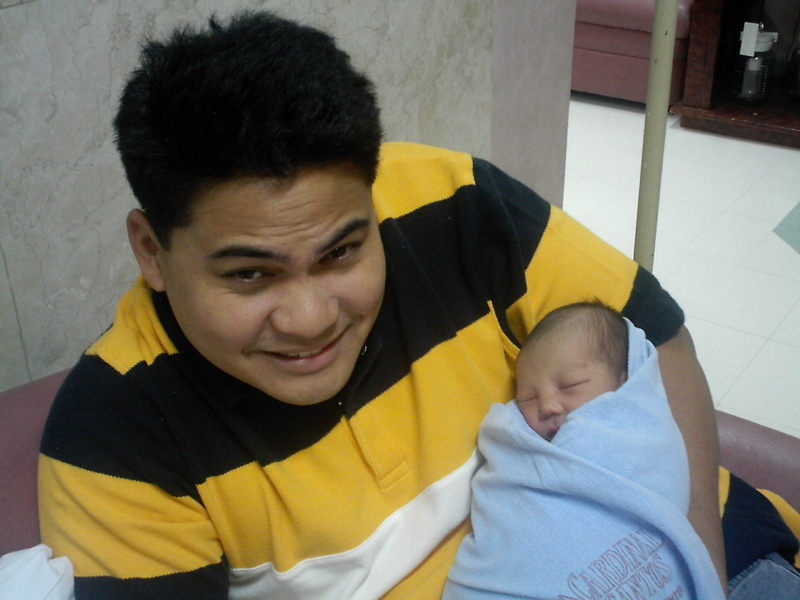 Hugs and kisses and God bless baby Gab!